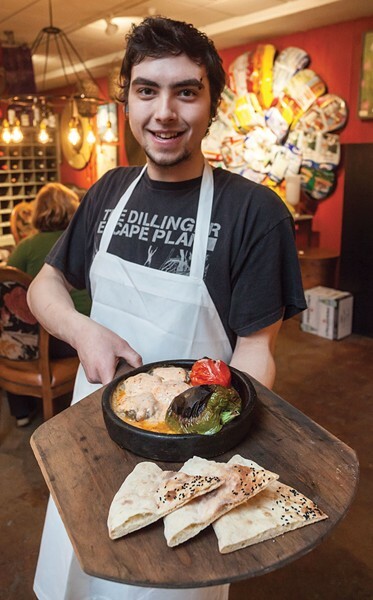 At first glance, Depot62 in Manchester Center looks like an eclectic home-furnishings store. Marrying funky antiques with sleek modern designs, its contents range from a handful of tables and mismatched chairs to a lamp constructed from old baseballs. On one wall hangs a shiny objet d'art made from flattened industrial-size metal food cans. On another, handbags suited to hipsters. The floor is dotted with ornate rugs woven of richly colored threads. But there's something incongruous about those tables in the center of the room: They're set for dining, with paper napkins and salt and pepper shakers, and it's not just for show: Depot62 is also a café, offering a small menu of organic veggie dishes, pizzas and Turkish delights. Owner Alp Basdogan hails from the Mediterranean country, where his family runs a rug-making business. He attended college in the U.S. and now sells textiles and other wares in "downtown" Manchester Center, between Starbucks and Northshire Books. Start with hummus or eggplant dip to spread on fresh-baked pita, with a lemony arugula salad on the side. 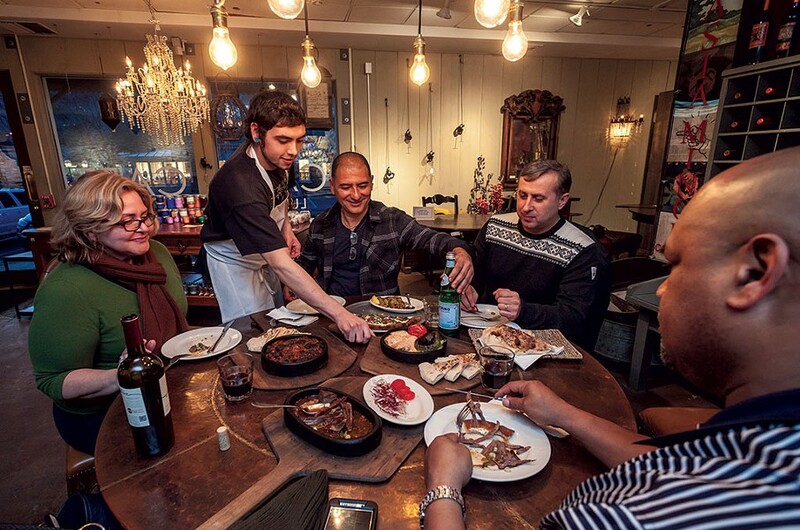 Take your time as you eat, as the staff moves at a languid pace — all the better for diners to discover the store's many treasures. New details emerge at every turn. The showroom's stone wall, for instance, contains a wood-fired oven in which the chef blisters simply topped, thin-crusted pizzas. 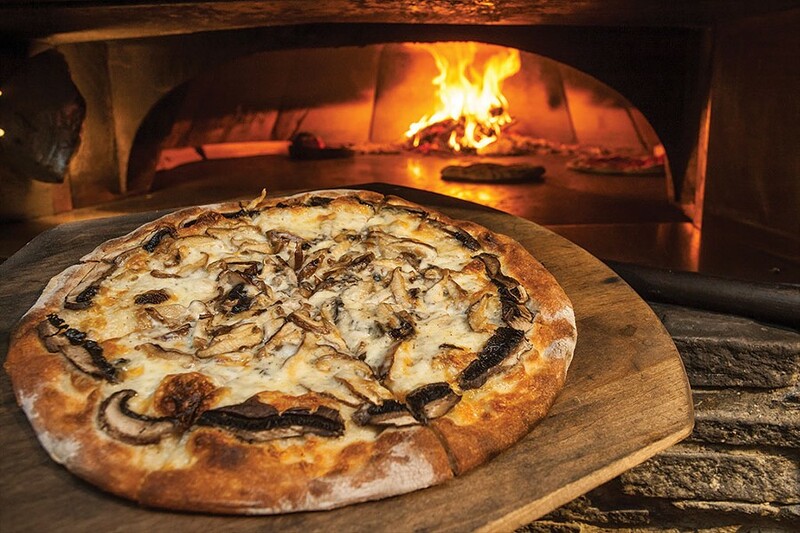 The wild mushroom with caramelized onions and gooey mozzarella is a local favorite. Lamb is the other specialty of the house and finds its pinnacle in the Konya Kebap. Tender chunks of paprika-speckled meat arrive simmering in a clay pot, alongside hunks of tomato and slivers of raw, spiced onion meant for mixing into the meaty cooking liquid. There's plenty more homemade pita for sopping up the fragrant juices. You can also get your lamb on pizza or as meatballs. If this food-and-furniture scene sounds crazy, think of IKEA. The world's largest furniture retailer, which believes shoppers should never be hungry, sells an average of 1,836,000 Swedish meatballs a day.